The 2 staff members I dealt with were both super friendly and helpful, they were the best part of the hotel. However the apartment itself had everything and the bed was comfy. Really great location. The location was superb, room was big and clean. Totally worth!! The property is close to major retail shops and restaurants. The front desk staff were friendly. The room and bathroom were generally clean. Welcoming staff, FAB location. Was clean and tidy. Staff were supper good. Friendly - helpful - best I have encountered. Have been visiting melbourne 2 or 3 times a year for at least 15 years. Location is great and everything was very clean. Fantastic customer service, going well above and beyond to make sure we got what we needed. The room was very clean, and the hotel is in the heart of the city, and very close to a great selection of shopping and restaurants. Lock in a great price for Mantra City Central – rated 8.1 by recent guests! Mantra City Central This rating is a reflection of how the property compares to the industry standard when it comes to price, facilities and services available. It's based on a self-evaluation by the property. Use this rating to help choose your stay! 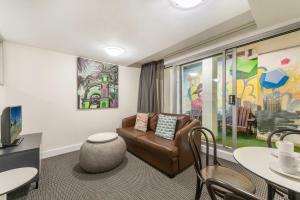 Located in the heart of Melbourne, Mantra City Central offers modern apartments with stylish décor. 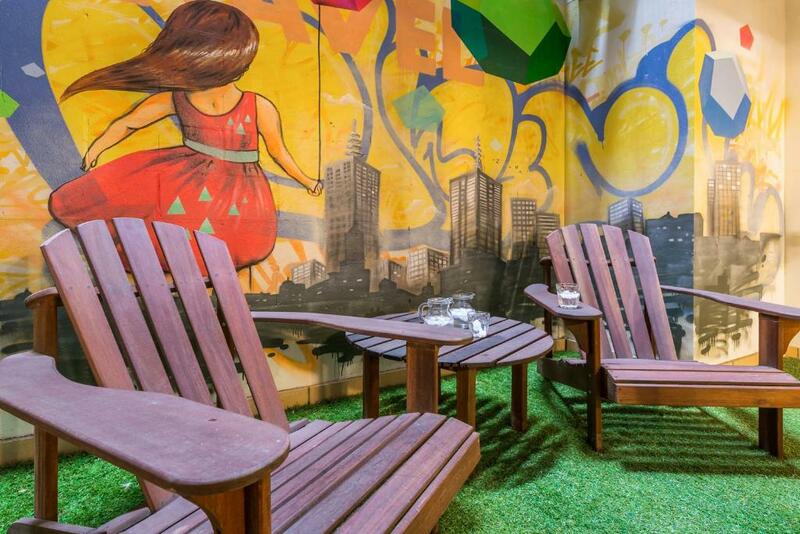 The property is next door to the iconic shopping destination, The Emporium Melbourne. 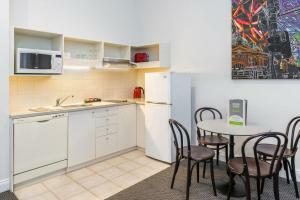 Mantra City Central is a 25 minute drive from Melbourne Airport. Public transport options are located directly outside the hotel. It is a 7 minute drive from Melbourne Cricket Ground (MCG) and a 5 minute drive from Etihad Stadium. These spacious apartments are air-conditioned and feature a kitchenette with a microwave, and a private bathroom with a bath over shower. They offer ironing facilities and a flat-screen TV with cable channels. Some apartments boast a private rooftop terrace. When would you like to stay at Mantra City Central? This apartment is either a loft or single floor apartment with a kitchenette, living and dining area. It includes cable TV, controlled air-conditioning, a hairdryer, and an iron and ironing board. Please note loft or single floor apartments are available, subject to availability. If you would like to request a certain room type, please let the property know using the special request box or using the contact details found on the booking confirmation. Please note that room type allocation is subject to availability. 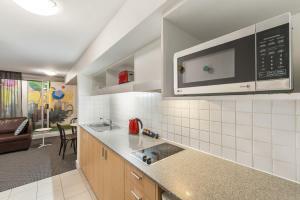 This air-conditioned apartment includes 2 loft bedrooms, living and dining area and a fully equipped kitchen. Please note that the 4th guest will be accommodated on a single-sized, pull-out trundle bed in the 2nd bedroom. Please note that the bedroom and the bathroom are accessible via stairs only. Please note there is no capacity for extra beds. This air-conditioned apartment offers access via the 1st floor stairwell. It features stylish décor, an enclosed outdoor seating area and an private bathroom with a bathtub and shower. The living area has a kitchenette, a dining setting and a TV with cable channels. This air-conditioned apartment includes 2 loft bedrooms, a rooftop terrace, a living and dining area and a fully equipped kitchen. Please note that the fourth guest will be accommodated on a single-sized, pull-out trundle bed in the second bedroom. 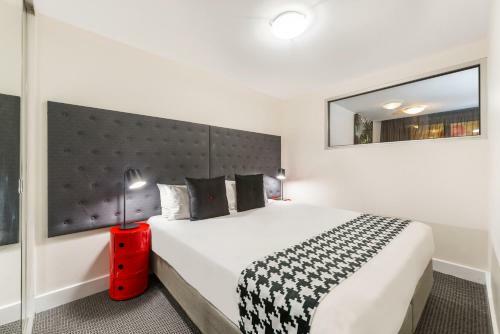 This beautiful high ceiling refurbished room includes air-conditioning, kitchen, a seating area and a dining area. 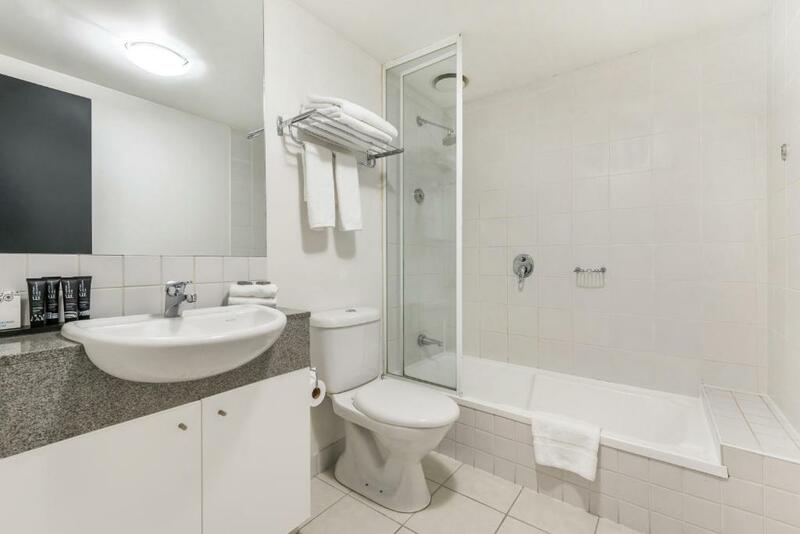 It features a TV with FOXTEL and a private bathroom. 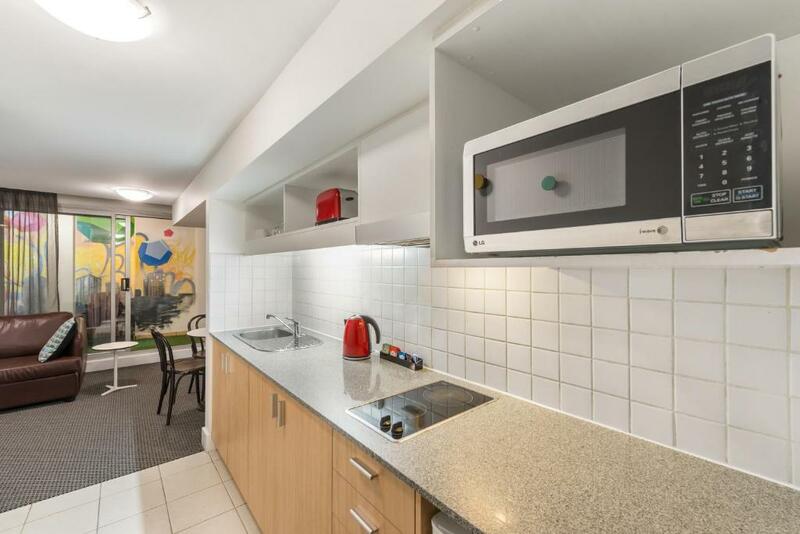 This apartment features a dining area, air conditioning and microwave. House Rules Mantra City Central takes special requests – add in the next step! A AUD200 damage deposit is required 7 days before arrival (about USD143.61). This deposit will be fully refunded 7 days after check-out, as long as there isn't any damage to the property. Mantra City Central accepts these cards and reserves the right to temporarily hold an amount prior to arrival. Please note that accommodations will not be serviced during your stay. Please note that car parking is available at 'Golden Square' public car park, located at 217 Lonsdale Street, and charges apply. If you are arriving by car, please contact the property for more information, using the contact details found on the booking confirmation. A damage deposit of AUD 200 is required. The host charges this 7 days before arrival. That's about 143.61USD. This will be collected by credit card. You should be reimbursed within 7 days of check-out. Your deposit will be refunded in full by credit card, subject to an inspection of the property. Amazing location, clean and great value for money. It was a great room in a great location. Amazing value for money! Both windows looked out on solid dark walls approximately 1.5 meters from window as a result there was zero natural light which felt very stifling. Staff are the best asset this Mantra has. Probably the best customer service I’ve had when travelling to Melbourne for work and leisure. The rooms are not sound proof, there are bars down stairs and the cleaning trucks at night so it gets a little noisy if you trying to sleep. After hours checkin is not safe have to talk through intercom and people walking past can pretty much hear the pin code being given to you and there are no cameras at the door so if something happens to u while u waiting for the intercom to be answered you are stuffed. 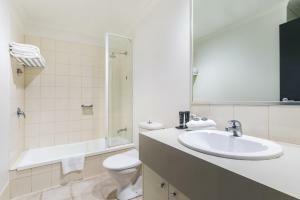 Location is great, close to bars, restaurants and transport. Staff were very helpful. Room was spacious, comfortable bed. I requested a room with views and they delivered. Late check out is very affordable. The service, the hotel, staff, location. The room was a little run down and old. I thought I had already paid for the room when I booked so it was a shock to fork out $600 when I got there- this process needs to be made much clearer. The staff were friendly and helpful. As I had already stayed at the hotel a couple of times they upgraded our booking which was fabulous. The apartment was very clean and comfortable for our stay. It is located right in the heart of the city so you have everything at your doorstep.